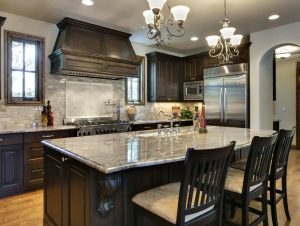 Have you been interested in the idea of installing granite countertops? Or perhaps you are but you just do not know where to buy quality countertops Dallas? Heck, you might have even asked this question yourself: “Where are the best granite countertops installers near me?” Do not worry – you have come to the right place. This guide is designed to help you find the right installer that will give you quality granite countertops at the best price. 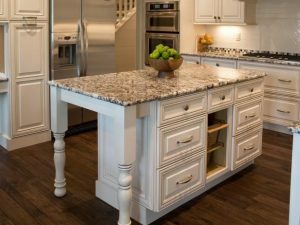 When you search for granite countertops installers in Dallas, the first thing you would want is quality. Sure, granite speaks of quality, but you need to make sure that the fabricator actually offers quality or premium materials. Keep in mind that just because a company fabricates its own granite does not mean it always results in quality material. This will also help you determine the price, as granite comes in a grading system. Basically, the higher the quality is the higher the price will be. 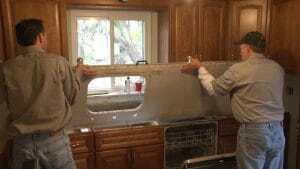 A fabricator is one that, well, fabricates granite and other countertop materials. But when you say master installers of Dallas’ granite countertops, they have the know-how when it comes to installation. Remember: You want your countertop to be installed the right way. Otherwise, you will only be wasting money, as incorrect installation may lead to countertops deteriorating easily. Also, master installers can give you advice on how to take care of your countertop. With years of experience, they know exactly how granite should be maintained and taken care of. No matter the quality of your granite, it will not look good if not crafted by a trained and skilled craftsman. This is where you need to do some due diligence. Look for a fabricator that has years of fabricating quality granite countertops. And when you say quality craftsmanship, it also means that they use state-of-the-art equipment and A-grade materials. Heck, even the tools and sealers they use are also top-notch. This is where you will actually save money. By buying granite countertops from a trusted fabricator, you have access to countertops that come with a factory-direct price. There is no middleman whatsoever is involved. As a result, you to purchase a more affordable granite material. Also, stay away from home improvement stores. They only sell granite at expensive rates. They only do more harm than good. Looking for premium grade granite countertops in Dallas? Look no further than Hard Rock Imports. We offer only the highest quality of granite perfected with affordable rates. Contact us today for a no cost, no obligation estimate!